Each year, many of us sign up to a gym or vow to run a marathon, but why not take a different approach. The world is full of incredible natural landscapes, and these challenging hikes make the perfect excuse to step up the fitness. Located on the Canada-United States border, Glacier National Park covers a vast area of land, and includes segments of two mountain ranges and over 130 lakes. The Grinnell Glacier trail starts off with a boat trip across the Swift Current and Josephine Lake, from here you’ll start your hike across one of the most beautiful places on the planet. This hike will take you past melting glaciers and cascading waterfalls, as well as some of the park’s natural wildlife; mountain goats, moose, and the endangered Canadian lynx. During the late summer you can walk across the mighty Grinnell glacier, but it is not advisable if there are crevasses visible in the ice. On the more challenging scale of hikes lies Angels Landing. This trail is one of the most popular hikes at Zion National Park in Utah, and draws adventure seekers from all over the globe. The hike can be split into two parts depending on your confidence, fitness levels, and let’s be honest, your fear of heights – the end of the trail reaches 1,500ft! Avid trekkers can take on the steep zig zags steps to reach the first part of the hike, here you can catch your breath and take in the impressive view of the seemingly prehistoric Zion National park, or you can choose to move on to the more challenging part of the hike. To reach the ultimate peak, you really have to earn it. Adventurers have to switch between pulling themselves up the side of the mountain with nothing but a chain, and crawling on all fours to steady themselves across the narrow mountain top. But when you get to top the view of a perfect utopia makes all the hard work worth it. This is a trek for the real adventurous hikers among us. 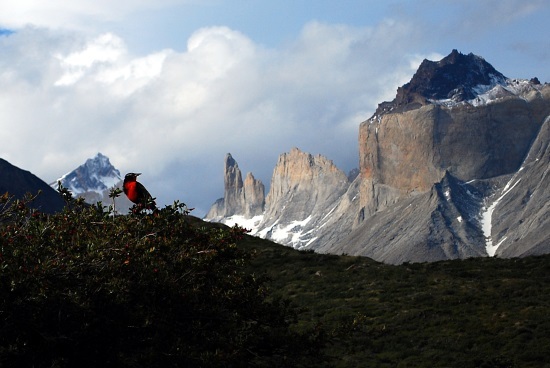 This 10 day hike follows a trail that takes you through blue glaciers, looming mountains, and typical Chile wildlife such as llama-like guanacos. The sights that you’ll come across are phenomenal, and it’s worth taking the time to stop and catch your breath just so you can really appreciate the majestic mountains, and floating icebergs spread out before you. The entire hike takes you around the Torres Del Paine towers, giving you a 360 view of this incredible natural landscape. As this is a multi-day trek with challenging terrains, it is advised that you travel with a guide. To voyage on a completely different type of hike, the Grand Canyon in Arizona is the place to go. Everyone knows how impressive the Grand Canyon looks from above, but have you ever wondered how it looks from below? The Grandview Trail is a day hike with medium difficulty; here you can hike down the mountain, past skilled donkeys carrying supplies, and across a cobblestone trail built by 19th century miners. As you head down you past the view of the canyon and the Colorado River, as you aim to reach the Horseshoe Mesa and Cave of the domes. Hikes usually go upwards, meaning that you use most of your energy hiking up before you take the easier hike down. When trekking the Grand Canyon it’s important to remember that you’ll need to take an even more challenging hike upwards, so make sure you get up early enough to avoid hiking back up in the middle of the day – especially in summer. 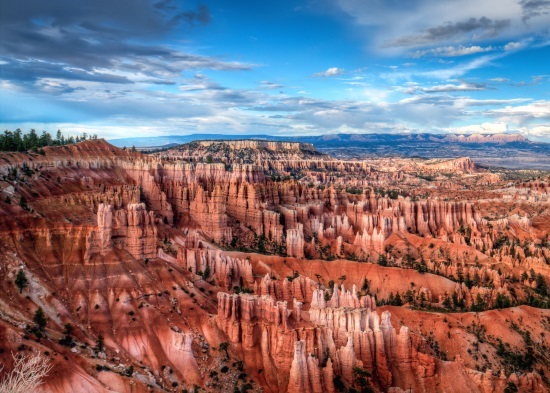 Bryce Canyon is infamously known for its bright orange colour, unique rock formations, and deep canyons. Similar to the Grand Canyon, the Navajo Loop trail starts by hiking down into a narrow Canyon known as ‘Wall Street.’ When you reach the canyon floor, you follow the trail of the Navajo loop, and continue along the Queens Garden Trail to uncover more of the mystical canyon. You won’t be able to help but feel as though you’re walking on Mars. There are plenty of other hikes that take you through the canyon maze, each with a different range of difficulty and time span. To really see nature at it’s finest the Tongariro Northern Circuit offers some of the most incredible sights. The hike isn’t for the faint hearted as it takes you around Mount Nguaruhoe, Tongariro National Park’s active volcano. Along the way hikers can peer into craters, awe at explosive pits, and flowing streams of molten lava. The magical sceneries don’t stop there either. Hikers can also stop to snap photos of bright emerald lakes, wildflowers, and tumbling waterfalls – although the photos will never do them justice. To get to one of the most incredible places on earth isn’t easy though. This 41km hike takes approximately 3-4 days so you’ll have to pack your camping equipment, food, and preferable hike with a guide.